The San Francisco Labor Council has just passed a resolution in support of Iraq war veteran and accused whistleblower Bradley Manning. This important development comes on the heels of a demonstration this past Sunday outside of the Quantico Marine Base in Virginia, where Manning is being held. CNN and other major media outlets gave prominent coverage to the protest, which had participants from ANSWER, Code Pink, Courage to Resist, March Forward!, Veterans for Peace, IVAW-DC and many others. We encourage everyone who can to introduce similar resolutions in their unions, community and student groups, and religious organizations. If you introduce a resolution, let us know by clicking here and we will publicize it on our website. The demand for Manning's freedom is gaining momentum across the country, and is a reflection of the growing opposition to the occupation of Afghanistan. 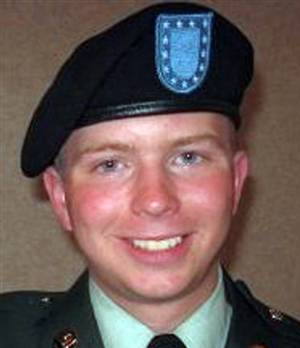 Manning has been held incommunicado for months, charged with releasing a graphic video of an attack in April 2007 by a U.S. Apache helicopter that killed a group of journalists and civilians. News reports suggest that Manning may be charged with the recent release of 75,000 documents that paint a grim picture of the occupation. You can read the full text of the San Francisco Labor Council resolution below. Please help us spread the word about this important display of support for Manning by posting this to Facebook, Twitter and other social networking websites. Resolved that the S.F. Labor Council call upon other union locals, labor councils and state and national federations to send letters to President Obama and Congressional representatives calling for the release of Bradley Manning.